Hey, guys! I am SO excited to share with you a new eBook I wrote for Read Conmigo! 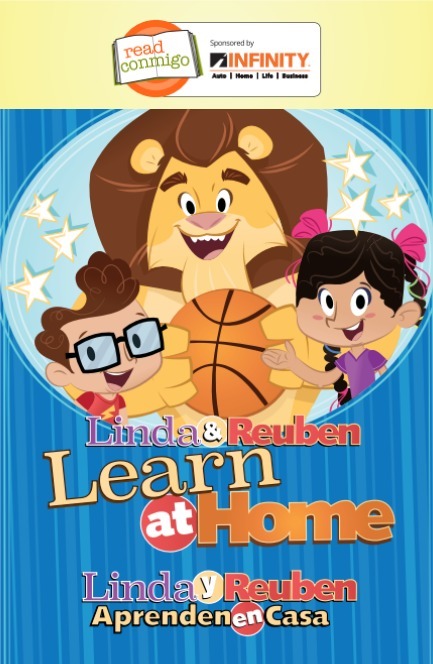 Linda and Reuben Learn at Home is all about homeschooling and is a fun read for bilingual families who are thinking about teaching their children at home. Are you already a member of Read Conmigo? You can subscribe on their website for FREE and get instant access to all of their wonderful, bilingual eBooks. And if you live in certain cities, you can receive free printed versions of their books. If you are the parent or teacher with children in PreK through 5th grade, then this is a great resource you should be taking advantage of! Their website contains important information and useful tips on early learning, parent and teachers resources, free activity downloads, and more. Did you know that you can apply for a scholarship to send your child to a private school? Read Conmigo's sponsor, Infinity Auto Insurance, has provided more than 1800 scholarships to help families provide a quality education for their children. Read more about it here. Anyway, earlier this year, I was approached by Read Conmigo to write a children's book on the topic of homeschooling as a way to teach bilingual families about this schooling option. I was delighted to do so! At the end of the book, you'll also find a word search and reading comprehension questions. I'll admit that I drew heavily on my own family's experience when writing this book. The children - Linda and Reuben - closely resemble my own, as does their homeschool classroom. And I have to thank the illustrator, Justin Dial, for bringing my story to life! The illustrations are just fantastic and SO engaging. 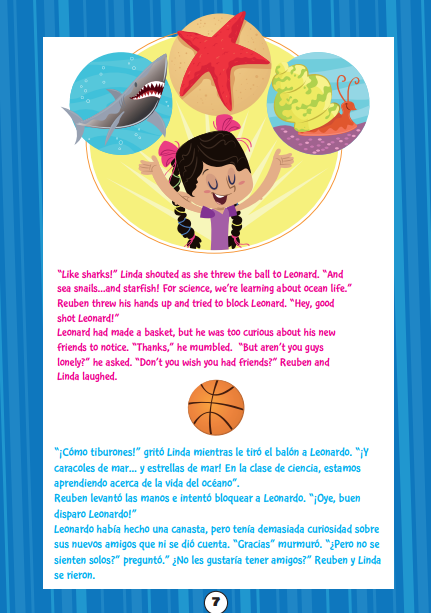 I'm also grateful to Read Conmigo for translating the story into Spanish making it accessible to bilingual and Spanish-speaking families. To download and read your copy, head over to Read Conmigo's website and sign up for free. Thank you, Read Conmigo, for asking me to write this story about homeschooling for young readers!